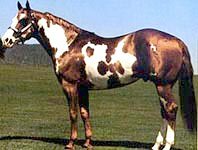 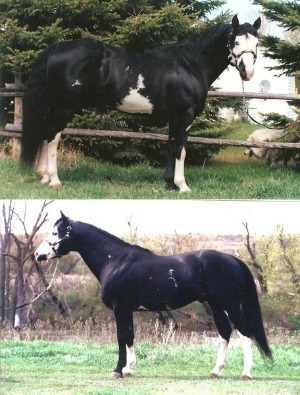 Here are some of the paint horses that are in our horses pedigree's.Some of them are grandsire's or greatgrandsire's and other's are the sire's to our mare's.All of these horse's have made an impact on a breed that has only been around since 1965. 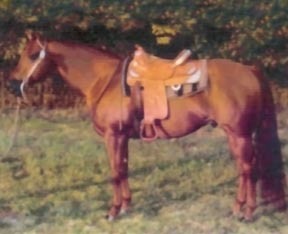 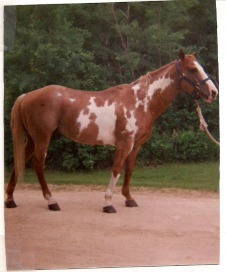 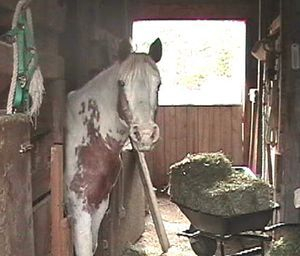 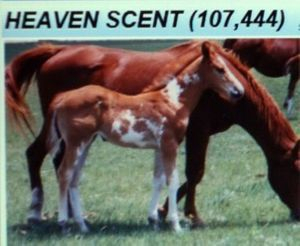 Heaven Scent a 1985 Red Roan Overo Mare by Stormy Hancock Two x Vanzis Babe.This is the maternal granddam to our mare Gilley,she had really good foundation paint and quarter horse breeding.She was primarily used for a riding horse and only produced 1 foal who happened to be Gilley's sire. 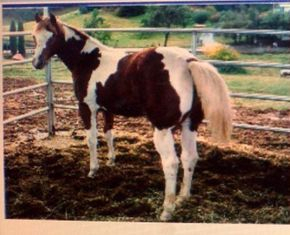 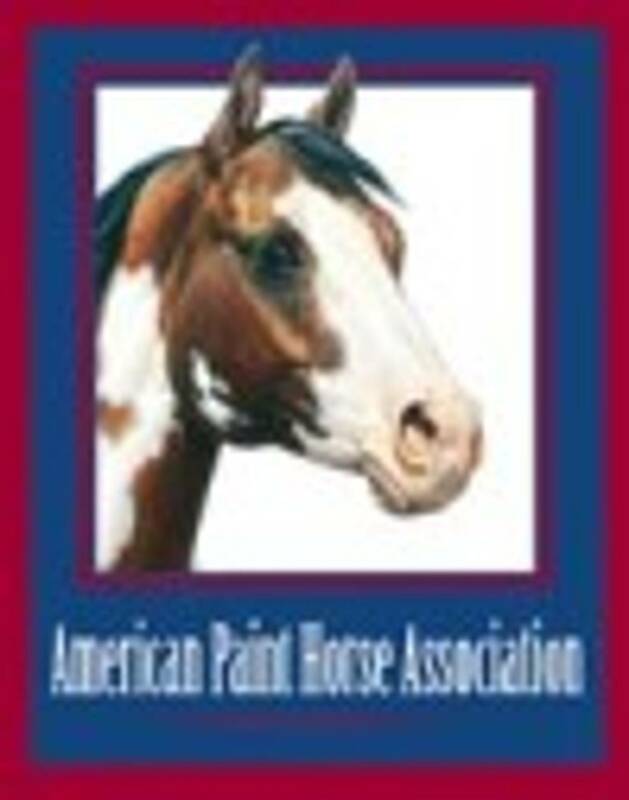 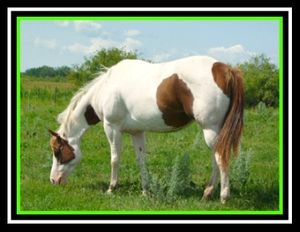 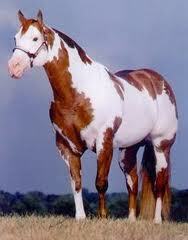 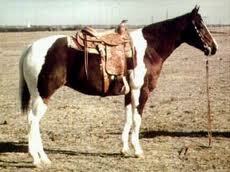 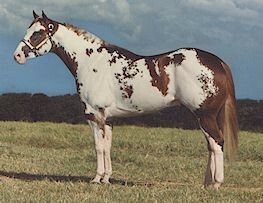 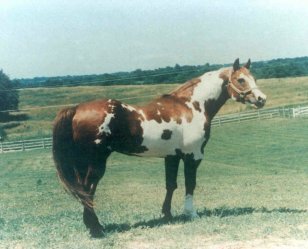 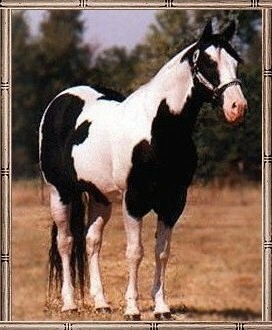 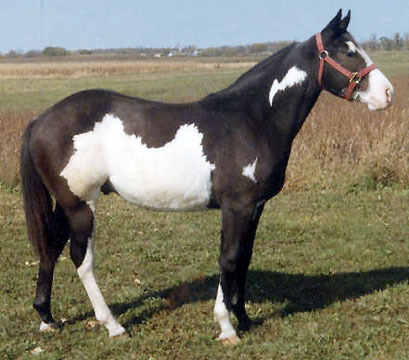 Cherokee Maiden a 1960 Bay Tobiano Mare by Osage Dan x Maggie.Cherokee maiden was the first paint horse ever registered with the APSHAs and was later registered with the APHA# 23 and PtHa # 326 she was the 3rd mare to be registered by the APHA and like APHA mare #22 Papoose was bred to Leo San Siemon producing a foal called Cherokee Siemon whose greatest contribution to the paint breed was Happiness Is who was owned by the APHA founder Rebecca Tyler.Happiness Is,Cherokee Siemon and Cherokee Maiden are in the pedigree of our mare TT Mighty Miss Riskey.Cherokee Maiden produced 5 foals including Cherokee Siemon*Note due to the fact there is more than one horse on allbreedpedigree named Cherokee Maiden i unable to put the pedigree link on as it does NOT come up as the right horse. 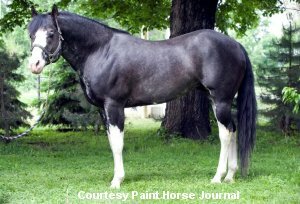 Mighty Awesome a 1992-2009 Sorrel Overo Stallion by Barlink Macho Man x Son Sweet Dreams.This good looking stallion is the maternal grandsire to our mare TT Mighty Miss Riskey.This is a wonderful stallion,his sire Barlink Macho man is a legend in his own right and produced many champion horses,when i saw Mighty Awesome & Barlink Macho Man were in our mares pedigree that pretty much decided the decision to buy her!! 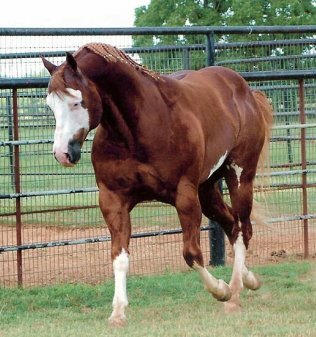 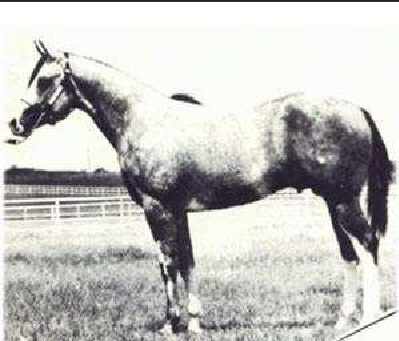 Sadly Mighty Awesome passed away after a valiant fight to survive liver cancer,i am very fortunate to own his grandaughter.He stood at stud most of his life at Triple T Ranch in Bullard,Texax. 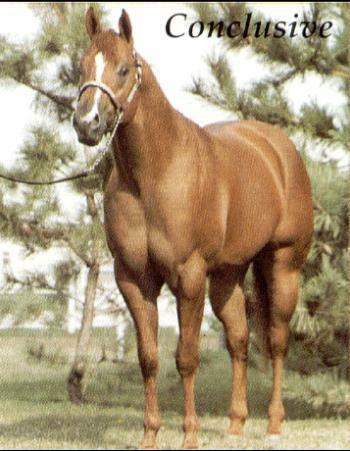 *Note due to the fact there is more than one horse named Mighty Awesome on allbreedpedigree i am unable to put the pedigree link on as it does NOT come up as the right horse. 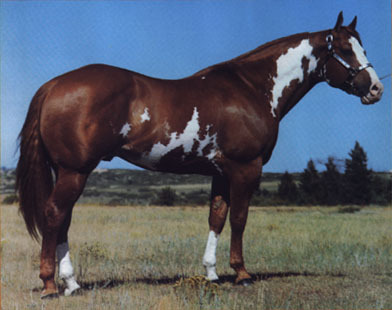 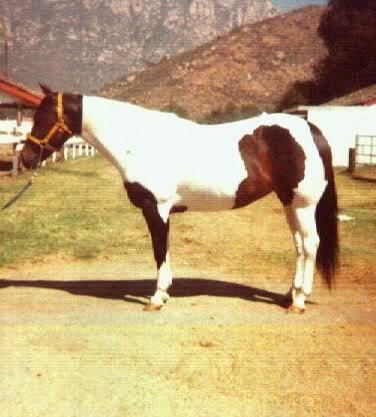 Scribbles a 1974 Sorrel Overo S tallion who is maternal grandsire to Awesome Scribbles who is the dam of our mare TT Mighty Miss Riskey.This stallion was by Our Sir Prize x Sin Bar and was a big deal in his day & is still close up in many paint horse pedigree's and was featured in paint horse legends vol 1. 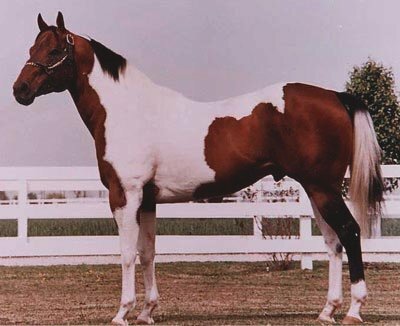 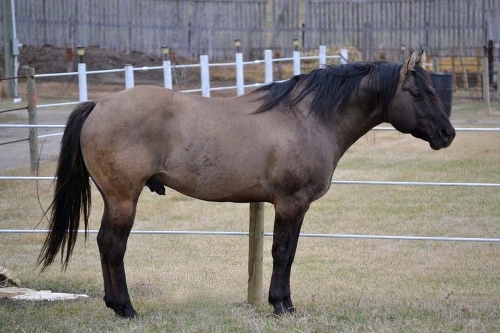 *Note due to the fact there is more than one horse named Scribbles on allbreedpedigree i am unable to put the pedigree link on as it does NOT come up as the right horse. 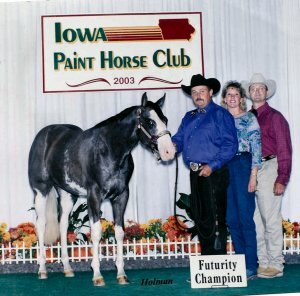 Pac Man a 1982 Sorrel Overo Stallion by Tommys Bar x Cresent Mary is great grandsire to our mare SR Tequila Dream.I have owned a Pac Man daughter and two grand daughter's and now a great-granddaughter.I love his breeding and because I have owned 3 other horses with him up close in their pedigree's it was one of the reason's I bought a great-granddaughter-I love their minds and dispostions'.I can remember when paints started to be the big thing in Manitoba that Pac Man was one of the horses you either wanted to breed to or get one of his foals.I can truthfully say from personal experience in owning now 4 of his disendents I can see why he was a favorite in his day. 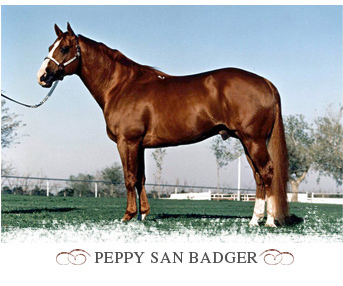 * Note due to the fact there is more than one horse named Pac Man on allbreedpedigree I am unable to put the pedigree link on as it does not come up as the right horse. 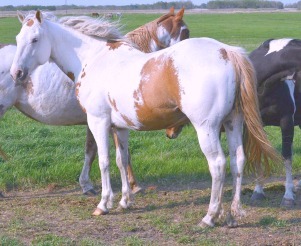 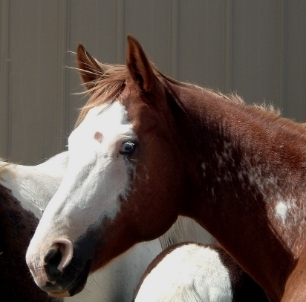 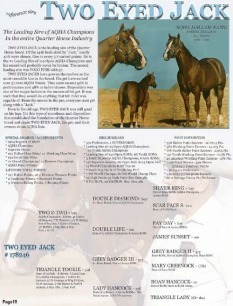 Here are some Quarter Horses that are in the back ground of our paint horses,some of them are sire's,grandsire's and great-grandsire's.These horses have made a big impact on the quarter horse breed,which has been around since 1940 and is the biggest breed association in the world. 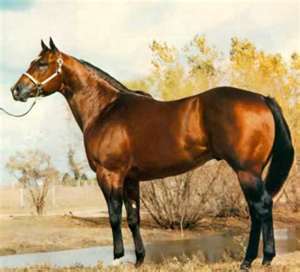 Mr.Impressive a 1974 Bay Stallion by Impressive x Joak Easter Gal.This good looking impressive son had numerous AQHA accomplishments some of them being AQHA champion superior halter,rom halter,1976 AQHA champion 2 y.o stallion,1977 high point halter,1997 high point western pleasure,high point western pleasure stallion,high point junior western pleasure stallion,1977 AQHA world western show junior western pleasure,sire of world champion offspring,reserve sire of world champion offspring and superior halter offspring.This stallion is in the pedigree of our mares CL Imprinted Angel and her daughter's and prospect's PPR Almost A Angel,HF Hollywood Angel & son HF Tru Imprinted Kid. 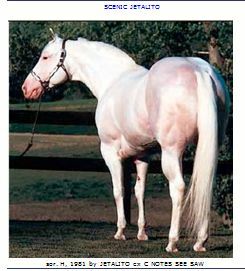 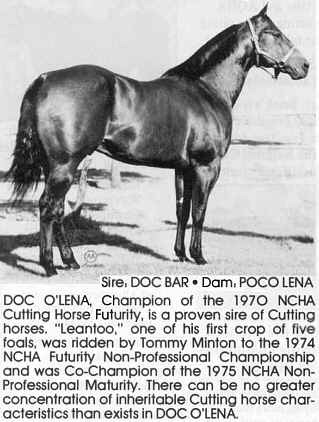 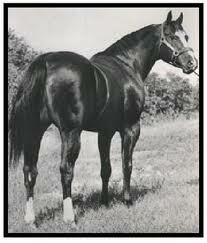 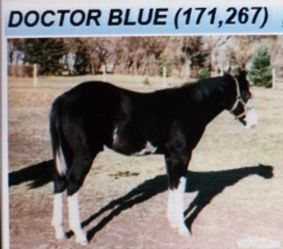 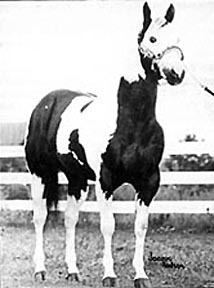 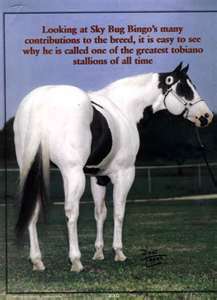 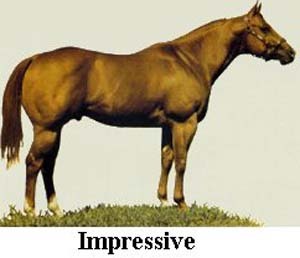 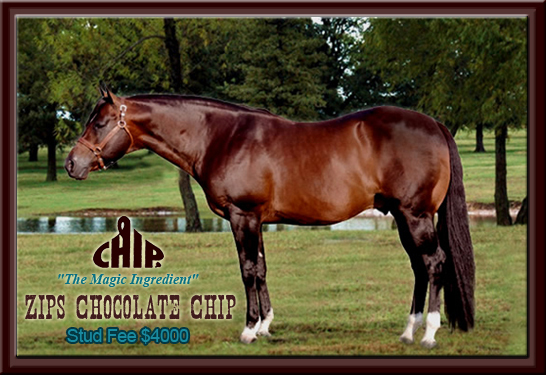 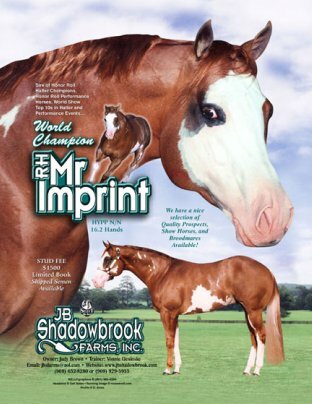 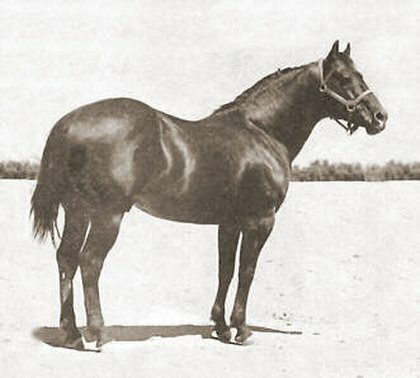 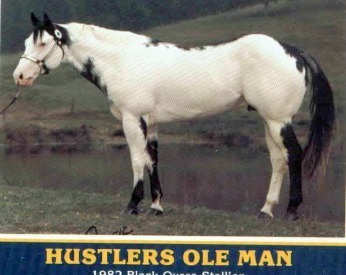 *No'te due to the fact there is more than one horse named Mr.Impressive on allbreedpedigree i am unable to put the pedigree link on as it does NOT come up as the right horse. 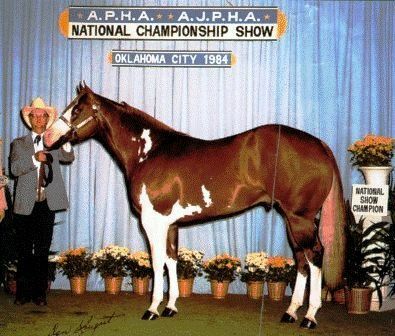 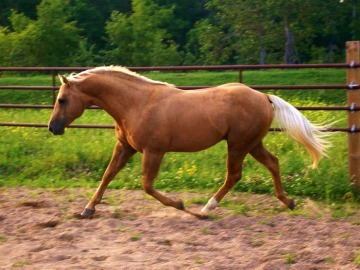 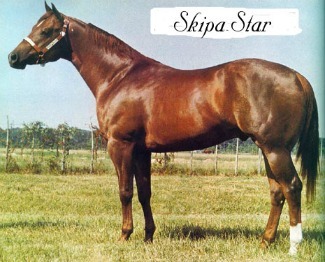 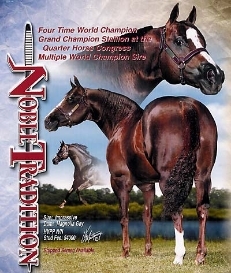 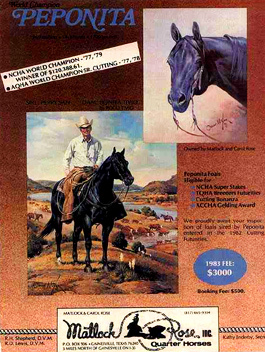 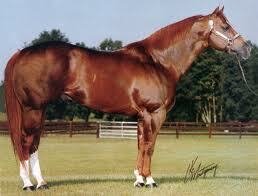 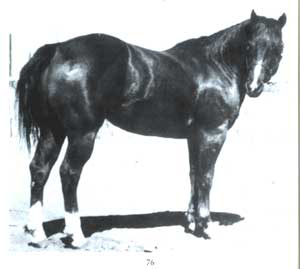 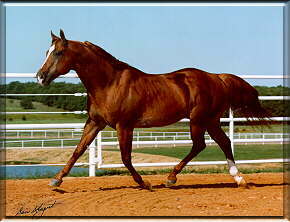 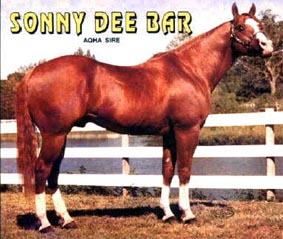 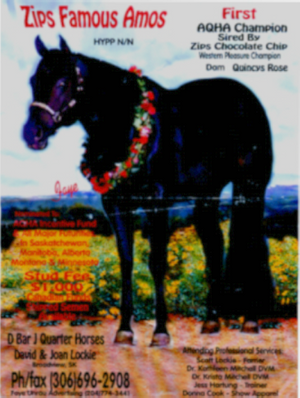 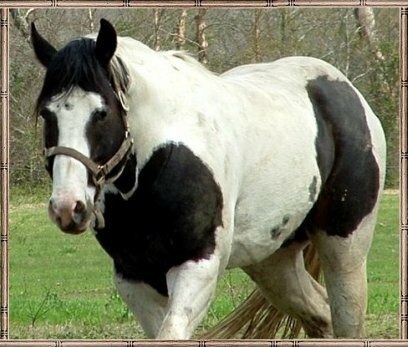 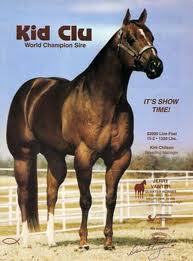 Impressive a 1968-1995 Sorrel Stallion by Lucky Bar x Glamour Bars.Impressive was born an appendix quarter horse but earned his full registration paper's with the AQHA in 1971.He was the 1974 open aged halter stallion,the first such world champion in his breed,despite carrying only 48 halter points in total.In his showing days Impressive changed hands several times,his most famous owner Dean Landers,who also owned the famous halter stallions Two Eyed Jack,Coy's Bonanza and Sonny Dee Bar.Impressive unfortunately is know for hyperkalemic periodic paralysis or hypp that is genetic disease only horses with his breeding have.People did continue breeding and getting their horses tested to keep the disease under control,but their were that continued to breed affected horses without reguard for the disease.After a number of years the AQHA finally pasted a rule in 2007 to require all descendents of Impressive to be tested prior to being registered and ban all horses from registration born after January 1st 2007 with hypp genetics confirmed by dna testing with H/H which is always passed on in the breeding of horses with this gene.Despite the controversy Impressive did make a big mark in the quarter horse indusrty.He is in the pedigree of our horses PPR Almost A Angel,HF Hollywood Angel & HF Tru Imprinted Kid-all 3 of our horses are hypp negative*NOTE DUE TO THE FACT THAT THERE IS MORE THAN ONE HORSE NAMED IMPRESSIVE ON ALLBREEDPEDIGREE I AM UNABLE TO PUT THE LINK UP AS IT DOES NOT COME UP AS THE RIGHT HORSE. 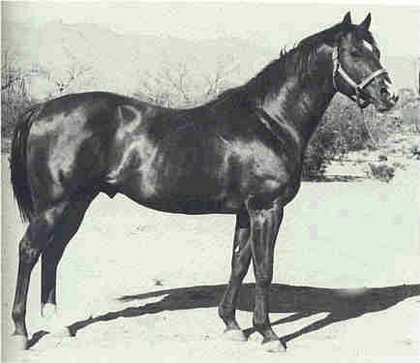 Leo a 1940-1967 Sorrel Stallion by Joe Reed II x Little Fanny.Like King, Leo is responsible for making the quarter horse breed and for the quarter horses we have today.A life size statue stands at the American Quarter Horse Association in Amarillo,Texas.Leo is in the pedigree's of Tru High Style.Leo was inducted into the Quarter Horse Hall Of Fame in 1989. 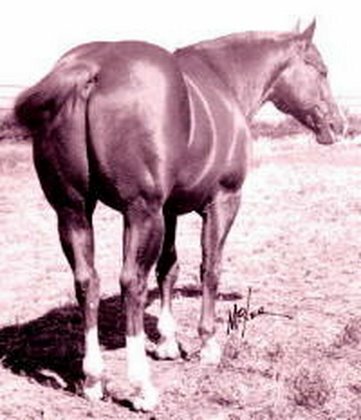 *Note due to the fact there is more than one horse named Leo on allbreedpedigree i am unable to put the pedigree link on as it does NOT come up as the right horse. 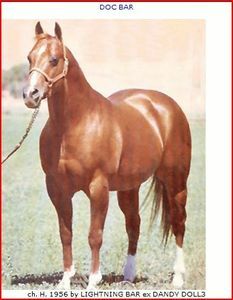 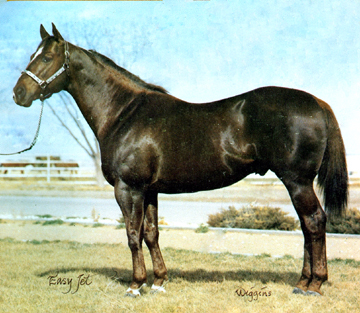 King-235 a 1932-1958 Brown Stallion by Zantanon x Jabalina.My family had always owned Poco Bueno related horses,we liked thier short but stocky builds.We didn't use them for cutting but for our own use i.e trail riding and the ocasional horse show.Their isn't anything i can say about King that hasn't already been said of him.He stood 14.2hh and was around 1300 pounds,he produced many famous off spring the above mentioned Poco Bueno,PocoPine,Poco Tivio,Commander King ,Poco Lena and many more.King is in the back ground of our mare SR Tequila Dream. 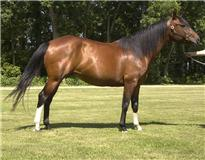 *Note due to the fact there is more than one horse named King on allbreedpedigree i am unable to put the pedigree link on as it does NOT come up as the right horse.